Easter time in Italy, as in countries across the world is a time spent with friends and family. Naturally, every Italian celebration has its special foods that are to be traditionally prepared and eaten during these days and Easter is no exception. One of these lip-smacking treats is the Easter Colomba, a sweet cake/bread named after the dove and Italy’s answer to the traditional British Simnel cake. According to the history behind the name, this has been given to the sweet, soft dessert because such a bird symbolizes both peace and springtime. 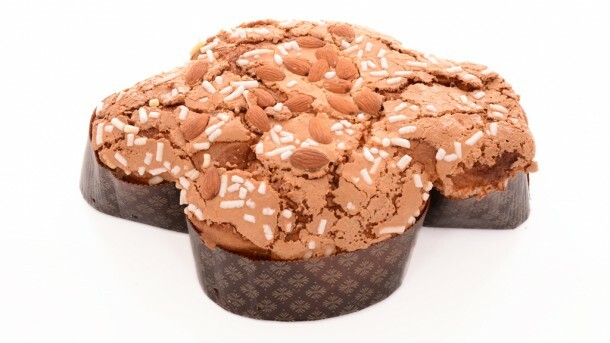 In culinary terms, the traditional Italian Easter cake “Colomba” has two different origins, one being the Sicilian ‘Palummeddi’ (or Pastifuorti) and the ‘Colomba’, that was first made in Lombardy in early 1900s by the famous Italian baking company: Motta. Both of these cakes are considered traditional Italian Easter desserts even if the recipes are slightly different, but the one made by the Motta family has gained immense popularity overtime becoming the symbol of Easter and is sold in bakeries and supermarkets all over the country. The Colomba dough is made from flour, eggs, sugar, butter and natural yeast and it is enriched with raisins, candied orange, almonds and topped with sugar crystals. The ingredients are very simple but the special quadruple leavening makes this classic Italian Easter dessert a light, fluffy heaven! Here is the recipe for a delicious Colomba cake for you to make on your own this Easter! It is quite a challenging baking task but if you follow the steps scrupulously you will master this project! You can add in any extra flavours you desire but the Italian tradition suggests keeping this dessert as simple as possible, in order to taste all the fresh, natural ingredients it is made of. The preparation of this stunning Italian Easter cake requires a quadruple leavening procedure to be carried out, including the creation of a special type of dough called lievitino, which is the base for the following dough batches. All the batches leaven separately so it is quite a lengthy process but doesn’t acutally involve lots of hard work! First step: Place the yeast in a large bowl crumbling it with your fingers and add 50ml of lukewarm milk and 100g of flour. This is the lievitino, which will constitute the base dough for your Colomba. Knead the lievitino thoroughly and then place it covered by a piece of plastic wrap or a cotton cloth in a warm place to leaven for thirty minutes. It will double in size. Second step: Take out the leavened dough; mix it with 80ml of lukewarm milk, 100g flour and set back to leaven again for thirty more minutes. Third Step: Take out the double leavened dough and add 150g of flour, 80g of sugar and 50ml of lukewarm milk. Knead the dough thoroughly for about 10/15 minutes and add 80g of softened butter slowly, until the dough absorbs it completely. Roll the dough into a ball and place it covered up into a bowl. Let it leaven for at least two hours. Fourth Step: Take out the dough and add 5g of salt, 100g sugar, the orange and lemon peel, the vanilla and eggs. Add 170g of softened butter at the end. Knead until your dough is elastic and smooth, add the candied fruit and roll it into a ball that you will let leaven for another hour at room temperature after brushing it with melted butter. After that pop the covered dough into the fridge for about 12 hours. Fifth Step: Take the dough out of the fridge and knead it until it softens up a bit. Next, place it in its cardboard dove shaped mold (you can find this in an Italian food store or online) and leave it for about 3 hours. If you don’t have a special mold a round tin is of course fine but it’s a good idea to add a collar as the dough should rise. In the meantime get your icing ready by beating your egg whites with the caster sugar and the almond flour. Brush the icing on the Colomba and top it with unpeeled toasted almonds and sugar crystals. Bake the Colomba for about 50 minutes in a preheated oven at 170° C. Before serving it, let it cool off completely. There you go: An Italian Easter cake masterpiece straight from your oven! 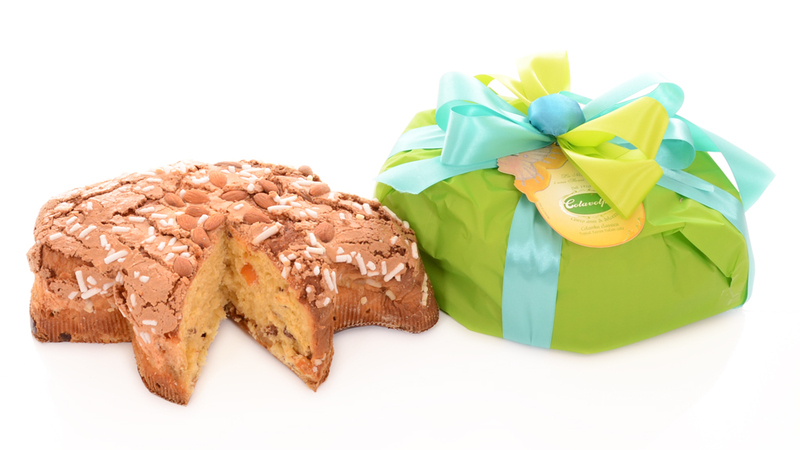 PS…If you don’t have the time (or patience) to make a Colomba this Easter but would love to try one Vorrei can help! Leave the hard work to the experts and take a look at our artisanal Colomba cake (pictured above), simply unwrap and serve!